Do you feel discomfort caused by the plastic or rubber hard elbow rests of your chair? Do you feel comfortable when you rest your arms on your chair? Do you need arm pads with universal easy attaching and size that may fit almost every office chair? 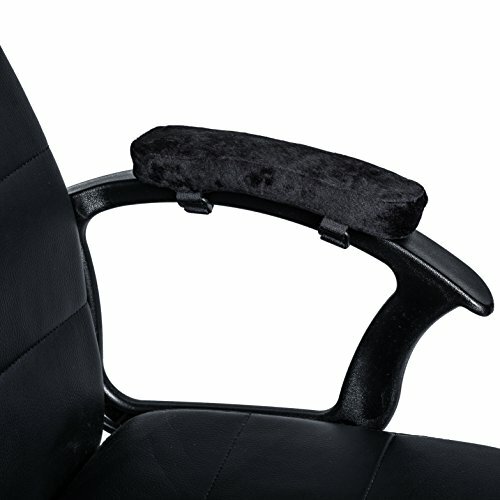 DO YOU FEEL UNCOMFORTABLE WITH YOUR HARD CHAIR ARMS - We offer you this Set of 2 memory foam office chair arm pads. If you have any questions about this product by STANSES COMFORT, contact us by completing and submitting the form below. If you are looking for a specif part number, please include it with your message.